Enable your devices to use Bluetooth from up to 150 ft away! Enable your non-Bluetooth audio devices, Talking Mp3 Player, Book Player etc to transmit or receive Bluetooth signals to or from other Bluetooth enabled devices from up to 150 ft away! It will also work with audio devices using these Miccus Bluetooth transmitters and receivers: Mini-jack TX, Mini-jack TX4, Mini-jack RX, Mini-jack AX4, or another Home RTX! 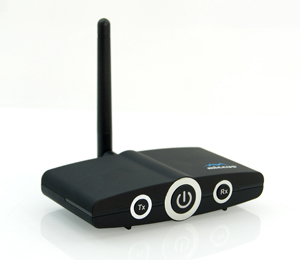 This bluetooth transmitter/receiver is meant as a home solution with a wall adapter and isn't meant to be used portably. More information in the description below. The Miccus Home RTX offers the latest in Bluetooth wireless technology allowing you to transmit or receive high quality stereo audio from sources such as your Bluetooth enabled Talking Mp3 Player or other player using the Mini-jack TX or TX4, Home Stereos, Audio devices, DVD/BluRay players, smartphones, Tablets, and more. 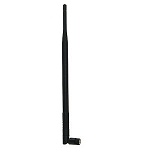 Designed to be a set and forget solution the Home RTX has a high powered antenna that lets you send and receive music at distances up to 150 feet! Leave it powered on so that when you come into range it will automatically connect with your phone, iPod or your Bluetooth enabled Mp3 Player or other player. With the included wall adapter it fits seamlessly with your existing audio equipment and can input and output via 3.5mm or Left and Right RCA jacks. Instructions from a blind perspective emailed upon purchase.